More than 1,000 people were feared dead in Mozambique four days after a cyclone slammed into the country, submerging entire villages and leaving bodies floating in the floodwaters, the nation’s President Filipe Nyusi. 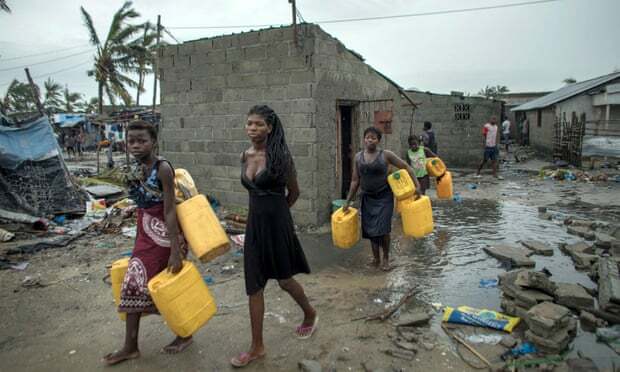 Cyclone Idai could prove to be the deadliest storm in generations to hit the impoverished southeast African country of 30 million people. It struck Beira, an Indian Ocean port city of a half-million people, which has a poor communication and transportation network and a corrupt and inefficient bureaucracy. The International Federation of Red Cross and Red Crescent Societies (IFRC) said 90 per cent of Beira was damaged or destroyed. The cyclone knocked out electricity, shut down the airport and cut off access to the city by road. Doctors Without Borders (MSF) said rivers have broken their banks leaving many houses fully submerged and around 11,000 households displaced in Nsanje, in southern Malawi.